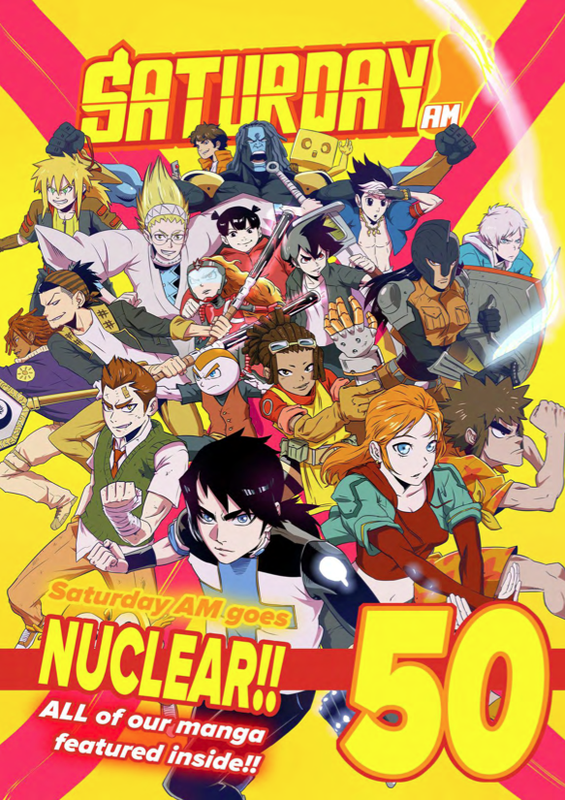 Enjoy issues 6 through 10 of the incredible Saturday AM manga webcomic anthology. For one low price (i.e. every issue just $1.00) you can grab this combo pack which provides OVER 350+ pages of original content from the hottest webcomic creators online! The only place to find the latest chapters of APPLE BLACK, BULLY EATER, COMATOSE, RACE! ON! and SAIGAMI along with EXCLUSIVE Interviews, reviews and more! This set includes the debut of our PILOT manga series in earnest with online illustrator Tony Saavedra (and Rocky Garcia) work--"ARROGANCE OF ATHENA." Likewise, a retrospective on AFTERNOON WEB-X series like Spoon and Wanted Dead or Dead and finally, the world debut of KATHAROS: The SHATTERED WORLD by Beverly Toole.